It appears that there are several more units in Gaza than I thought when writing my original post. Apparently the Givati Brigade is operating inside the Gaza Strip and not simply securing the Israeli side of the border. This became evident when the IDF spokesperson published a short video clip of a booby trapped housed the brigade found near a UN school in Gaza. The Givati, nicknamed ‘Samson’s Foxes’, have a solid history of operating in Gaza, and I was somewhat surprised when it first seemed that they would not take part in this operation. Exact place of operation remains unknown. The Sayeret Maglan special forces unit also appeared inside the Strip in a tweet by IDF spokesperson. Their presence was perhaps less of a surprise than the fact that their presence was confirmed openly by the IDF. The 77th “Oz” Battalion, of the 7th Brigade, concludes a military exercise at the Golan Heights in 2009. Photo by Michael Shvadron, IDF Spokesperson’s Film Unit, via Wikimedia Commons. The 7th Armored Brigade is also apparently in full use in the central regions of the Gaza Strip. The brigade is best known for its stubborn defence in the opening hours of the Yom Kippur War, when in spite of large losses it managed to stop the vastly larger Syrian force trying to force its way through the northern parts of the Golan Heights. Then-battalion commander Avigdor Kahalanis account of the battle, “The Heights of Courage”, is widely seen as a modern classic of tank warfare. A lone IDF Centurion/Sho’t stands guard over the former battlefield at Emek HaBakha (Valley of Tears). Photo by author. All in all, there now seems to be at least three infantry brigades (Golani, Nahal, Givati), two armored brigades (7th and 401st), as well as a single paratrooper brigade operating inside the Gaza Strip. It seems that both armored brigades are operating in the central area of the strip, where the terrain is more open, with the 401st being the northernmost of the two. 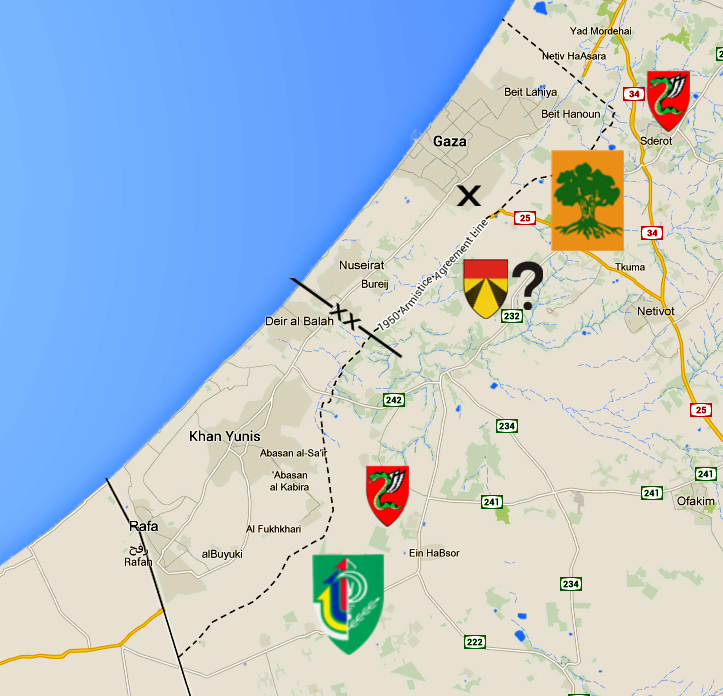 The location of Nahal and the paratrooper brigade has become somewhat clearer. Nahal is operating in the northern parts of the Gaza Strip, according to this video released by the IDF. The paratrooper brigade, on the other hand, is operating in Khan Yunis, according to a Haaretz interview with the brigade commander. …And perhaps the last of IDF’s more well-known brigades, the 188th ‘Barak’ armored brigade, is also in the strip (or at least their infantry), bringing the toal up to three armored brigades. 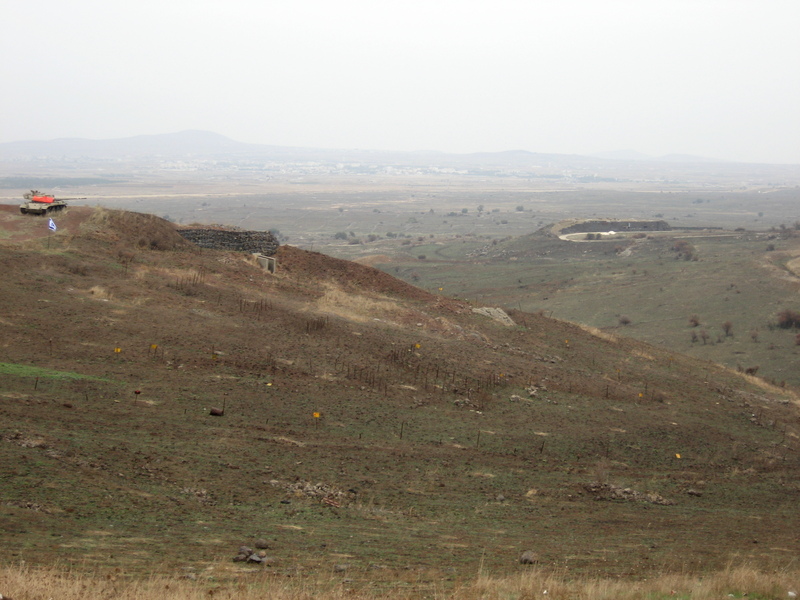 The 188th seems to be the southernmost of the armored brigades, operating around the northern outskirts of Khan Yunis. This is based on the fact that their presence in Eshkol has been confirmed, as it was there five of their soldiers who were killed by a mortar strike earlier this week. Note that with the figure for IDF personnel killed in action already over 60 and climbing, it is over halfway to the corresponding number of losses IDF suffered during the Second Lebanon War. This is a brief try at creating an OOB for the IDF units involved in the ground offensive in Gaza as part of Operation Protective Edge. As usual, everything is based on open sources, mainly published in English. Golani Brigade: Hebrew: גולני. Often seen as the premier Israeli infantry brigade, it has seen battle in all of Israel’s major wars since its independence in 1948. In recent times, the brigade not only fought in the Battle of Bint Jbeil in 2006, described as the heaviest fighting in the Second Lebanon War, but also took part in Operation Cast Lead, the IDF incursion into Gaza in 2009. During Cast Lead, it was also deployed to the northern parts of the Gaza Strip, meaning that at least for some of the officers, it is a familiar battlefield they are coming back to. Having met the hardest resistance, the unit has also suffered numerous casualties. An APC attached to the unit was destroyed in a widely publicized incident in the hard battles in Shejaia, with the brigade losing 7 soldiers, the body of one still being unaccounted for. It has been claimed the vehicle was a Zelda (M113), but this is unconfirmed as remarkably little details of the incident has surfaced, and I have not been able to find any photos of the wreck. Among the brigade’s wounded are two high-profile cases, namely the (unnamed) commander of the Egoz Reconnaissance Unit (Hebr. Yehidat Egoz), the brigade’s special forces unit, as well as the brigade commander himself, Col. Rassan Alian, who suffered light-to-moderate shrapnel injuries, including to his eyes, but sources claims his vision was undamaged. He has since returned to Gaza to resume command of the unit. Of note is that Col. Alian is not Jewish, but an ethnic Druze. Nahal Brigade: Hebrew: הנח”ל. Alternative transcription Nachal, is an infantry brigade which has its roots in the Nahal movement, which was a youth program created by Israel’s first (and very much socialist) prime minister David Ben-Gurion, where young people combined agricultural work and setting up new farming villages with military service. The brigade itself was created in 1982, and while the current brigade is more “standardized”, it still maintains a somewhat unique character through the inclusion of a large number of foreign volunteers (Hebr. “Mahal”), as well as having a battalion focusing on integrating soldiers from lower socio-economic communities into the army. While this might sound like an unlikely candidate for use as part of the frontline troops, the Nahal also has a good track record in combat, tracing its roots to the Nahal airborne battalion which prior to 1982 fought as a reserve unit in the paratrooper brigade. As such, it counts the battles of the Mitla Pass in 1956 and unification of Jerusalem in 1967 amongst its traditions. The special nature also ensures that it has a cadre of volunteers with high morale, and in addition to the Second Lebanon War it has served in the West Bank, thus becoming familiar with fighting in an urban environment. A rough sketch of my estimation of the positions of the main combat units on the frontline. From north to south: Paratroopers, Golani, 401st Armoured (? ), Paratroopers, Nahal. The dividing line between the possible Ugdas is nothing more than a guess based on confirmed locations of units and studying of the map. The ‘X’ marks the spot of the Shejaia neighbourhood. Additional units: A number of additional units are also in the general area, either operating in support of the infantry brigades, or securing the Israeli side of the border. Paratrooper Brigade (Tzanhanim): Hebrew: הצנחנים. After going into battle by jumping out of plane went out of style, the IDF paratrooper brigade has been used as an elite light infantry unit in all wars since the Suez Crises of 1956 (where it performed its one and only operational combat jump). So far little has been leaked about the employment of the brigade, and the losses reported have been light. Picture number 4 in this slide show places their staging area in Sderot, and apparently they are supported by M113’s. However, this article places at least some paratroopers in northern Khan Yunis. This might indicate that the brigade is split into smaller components to provide added infantry support to the infantry brigades as needed. 401st “Iron Trails” Armored Brigade: Hebrew: הברזל. The unit is confirmed to be in Gaza. During Operation Cast Lead, the 401st led the advance through central Gaza Strip, and reached the Mediterranean Coast, cutting of Khan Yunis from Gaza City. 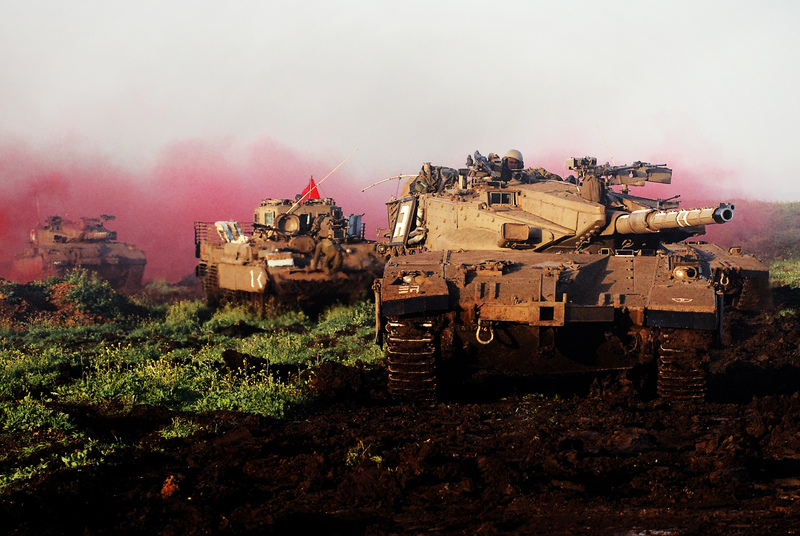 The main equipment of the brigade is the modern Merkava 4 MBT, protected by the Trophy active anti-missile system. The article quoted earlier gives the impression that they are operating close to El-Wafa Hospital, which would place them in Gaza City. The natural place for the brigade would be the gap between Gaza City and Nuseirat, opposite Netivot, the same area where they operated in Cast Lead. It is also possible that the 401st is operating in an idependent role. The Armored Corps lost two company commanders Tuesday evening (22nd of July), at least one of whom fell to sniper fire, but it is unknown if they came from the 401st or if more units are in the area. The Engineering Corps are naturally heavily involved, intermixed with regular units. At least one soldier from the Engineering Corps has been reported as a casualty. This happened in the central Gaza Strip, and it is mentioned that his Puma heavy combat engineering vehicle was hit by anti-tank rocket fire. The Givati Brigade, the brigades of the territorial Gaza Division, and the officer training base Bahad 1 have all taken part in some fighting, with the commanding officer of the Gefen Battalion of Bahad 1, Lt.-Col. Dolev Kidar, being killed in action during a tunnel infiltration by Hamas terrorists ,  & . Most likely these units are deployed to guard against Hamas infiltration attempts. The Artillery Corps are supporting the operation with M109 155 mm self-propelled howitzers. There are a number of opinions about what both sides in the current conflict should and shouldn’t do, and wether the Israeli response to the rocket barrage unleashed by Hamas (and some smaller groups) is in accordance with international laws and general ethical principles. These can be, and indeed are, discussed for hours, something which I wont do here. However, there have also been outcries about the supposed genocide of Palestinians taking place, and these are out of line to the extent that they warrant a response. According to the IDF, they have, as of the evening of Wednesday the 16th of July, struck a total of 1 872 targets inside the Gaza strip. According to Palestinian sources cited by western news agencies, a total of 220 people have died from these attacks [AFP]. Both sides seems to be in a general agreement on the order of magnitude of these numbers. Consider this: The Israeli Air Force, widely viewed as one of the best equipped and trained aerial forces in the world, has in a concentrated campaign achieved a ratio of people killed/strike of just under 0,12. In other words, on an averege, 7 attacks out of 8 does not kill anybody. If the IDF was indeed deliberatly trying to kill civilians in Gaza, the whole operation is an utter failure. If you ever happen visit the region, take half a day off to visit Yad Vashem, the Holocaust History Museum, located just outside Jerusalem. It is a rather sobering experience, and gives a good idea about how a genocide looks. The current round of fighting in and around Gaza may be a lot of things, but a genocide it aint.